Armstrong in Final Three of PFA Player of The Month vote. 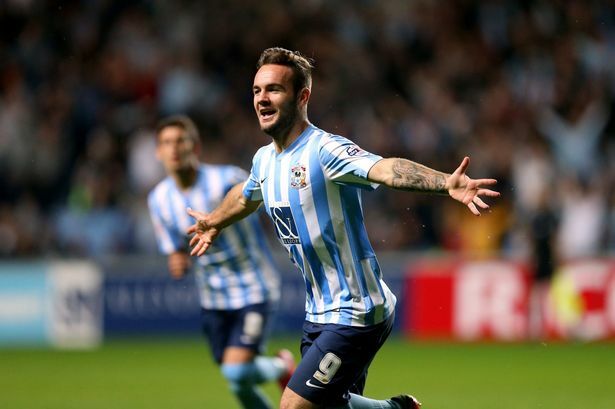 Coventry City striker Adam Armstrong is in the Final Three of The PFA Fan’s Player of the Month for September 2015. Armstrong was previously named the SkyBet Player of the Month for August after a scintillating start to his Sky Blues’ career netting five goals in five games. September saw Armstrong only net one more goal, but his all round performances have again impressed. Armstrong has also been called up for England U19’s for the U19 European Championship qualifiers in Macedonia next month where the Young Lions will play the host nation, Finland and Italy. Up against Armstrong will be George Moncur of Colchester United and Stuart Beavon of Burton Albion. « Black, Carsley, Williams & Bowman get new roles.